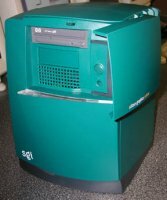 SGI is not only well known for building powerful systems, but also for their design. 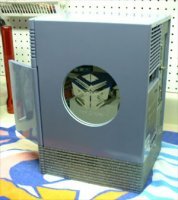 So there are already some attempts to build modern and cheap PC hardware into SGI cases (and this is not so easy) ot other ineteresting case mods. This page lists some of them. Illuminating an O2 - This project is about adding some cool blue light to an O2. Very straight and simple. 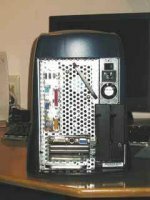 Project Oenone - Putting a PC into an O2. This is a really great page, and the creator has great handcrafting skills. 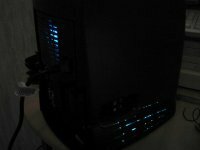 BTW this guy has many other interesting PC mods. 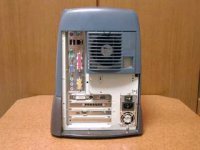 A PC in an Indy - attention: Japanese text. 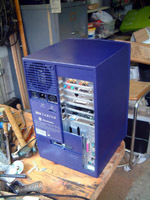 A PC in an Indigo - Looks nice. 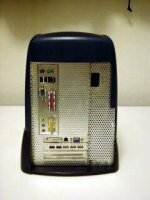 Another PC in an O2 - the simpler version. A third O2 from that guy! A PC in a Octane? Yes even this is possible with some brute force. 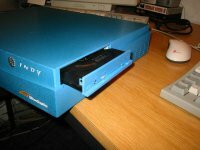 A CD-ROM drive for an Indy - nice and useful work indeed. 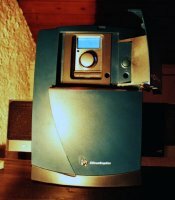 A DVD ROM for an O2 - nice and even more useful! Another Indigo to PC conversion. An Indigo Facelift - for old Indigos a new face. 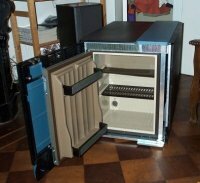 The Silicon Graphics Refrigerator Project - really weired. rOctane - this was originally a marketing gag of SGI themselves. 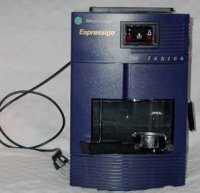 The famous Espressigo - a great SGI marketing gag. The famous Indycase - another marketing gag of SGI.